You can get really creative with this set. Use a bubble font and have the students color in their name or add your school logo. Check with your department to see if they can share a transparent version. 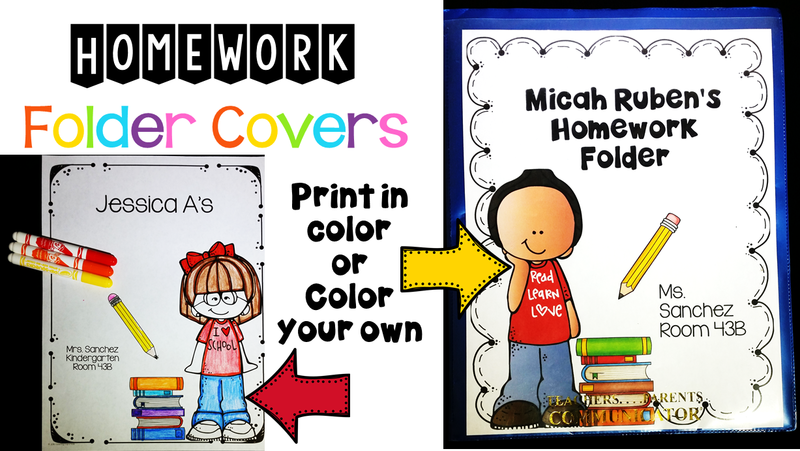 Another thing you can do is use these for something other than homework covers. Use them to create writing covers for journals or for math journals. Students love to personalize their school work and there is even a complete set in black and white! You can get a set for your kidos by clicking on the picture below! I hope you can use these in your classroom, if you think of another idea you would like to see please email me at teachingsuperkids@gmail.com and I would be happy to work with you on something specific for your class needs. I am always looking for teachers to test drive my products so if you see something in my store you want to give a try I would be happy to chat with you about that too!